Heidi, who initially left her small town of Pleasant Valley with the dream of one day becoming a successful painter, has put her own art on hold to excel as an art gallery curator. Now, a week before the gallery’s big Christmas party, she must return home to watch her niece and nephew. 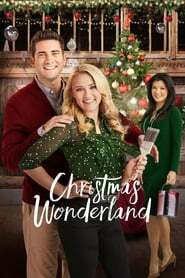 She comes face to face with her high school love, Chris, now a teacher, and offers to help him find a new last-minute location for the Christmas dance. Attempting to recover from a recent family trauma by escaping into the woods for a peaceful hiking trip, an ex-lawman and his young son stumble across a dangerous contract killer. The true story about the biggest warcriminal from Holland during world war II, Andries “Al Capone” Riphagen. Assigned to go undercover to take down an impenetrable crime ring, a detective finds himself falling under the sway of it’s enigmatic leader. Crazed members of a sadistic family return to their childhood home to terrorize the new owners.